While swine flu was born in rural Mexico, sufferers there claim it was conceived in local US-owned factory farms. 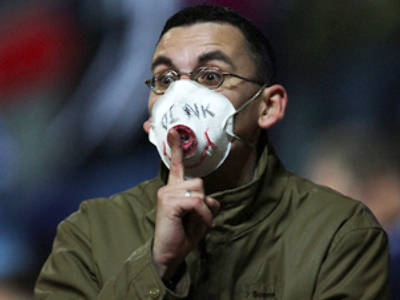 The pandemic may prove to be the cost of ignoring warnings around intensive farming. An overpowering stench has long surrounded the village of La Gloria in the arid Perote Valley, home to more than one million hogs. Besides the smell, locals complain of sore throats and year-round flu, which they blame on the industrial farms. Locals say the pig farms’ biodigesters – used to convert dead swine into energy – often overfill. The leftover carcasses are then devoured by packs of wild dogs. Headaches and burning eyes can be so bad that local people to flee from the acrid environment. Scientists have traced the first cases of the swine flu pandemic to this dry, wind-swept valley. On Tuesday (12th June), the World Health Organization reported there had been more than 5,250 cases around the world. Mexico has borne the brunt of the outbreak, with more than 2,000 infected including 56 confirmed fatalities. Mexico’s medical facilities have been stretched by the infection dubbed “Mexican swine flu”. Locals claim that the persistent illnesses in the area are linked to the hog-producing subsidiary of an American company. Smithfield Foods – the world’s largest producer of pork – supports 16 farms in the area of the original outbreak. It uses a vertical integration method of intensive farming. Thousands of pigs are packed into barns, their waste flushed into open-air pits called lagoons. “To the people of this community, what brought about this problem was the pig farms,” said Guillermo Franco Vazquez, the mayor of Perote. Smithfield’s subsidiary, Granjas Carroll – a joint venture with Agroindustrias Unidas de Mexico – rejects this, pointing to comments by Mexican health officials that temperature changes, poor nutrition and a lack of drinking water are to blame. 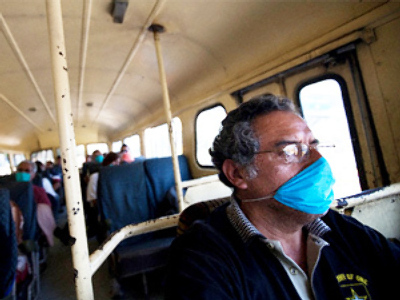 At its peak, 28% of the population of La Gloria was infected with swine flu. While the health crisis appears to be abating, tensions continue to rise between the poor neighboring communities and the multi-national food producer. In 2007, Perote Valley residents in a grass-roots organization called Pueblos Unidos blockaded a road to prevent a Granjas Carroll pig farm being built near La Gloria. Unusually, criminal charges were subsequently pressed against five members of the group. The conglomerate denies claims by local officials —including the governor of the state of Veracruz – that Smithfield was behind the prosecutions. Relations are so strained that Miguel Rolon Garcia, the state official who signed the original agreement with Smithfield, will is refusing to visit Perote, to “avoid the confrontation”. Smithfield’s responsibility for swine flu will be put to the test after a billion dollar petition against the company was filed in the US. Judy Trunnell died of the infection and her husband has sought “wrongful death damages” against Smithfield. His lawyers will need to establish a link between the “horrifically unsanitary conditions” at the Mexican pig farms and the infection’s spread. There is no scientific consensus that a link will be established. World Health Organization and other international teams are trying to establish the source of the influenza. However, there have long been warnings that intensive farming methods can produce a hotbed for developing viruses. While the first confirmed case of swine flu was in Mexico, the original strain may have emanated from north of the border. Last year, the Pew Research Center reported: “Factory farms are time-bombs for global disease epidemics.” The United Nations and European Commission have both drawn attention to the risk of epidemics stemming from factory farming. If a link is established between the farms so loathed by the inhabitants of Perote Valley and the global epidemic of swine flu, pressure on the big business of factory farming will ratchet up.